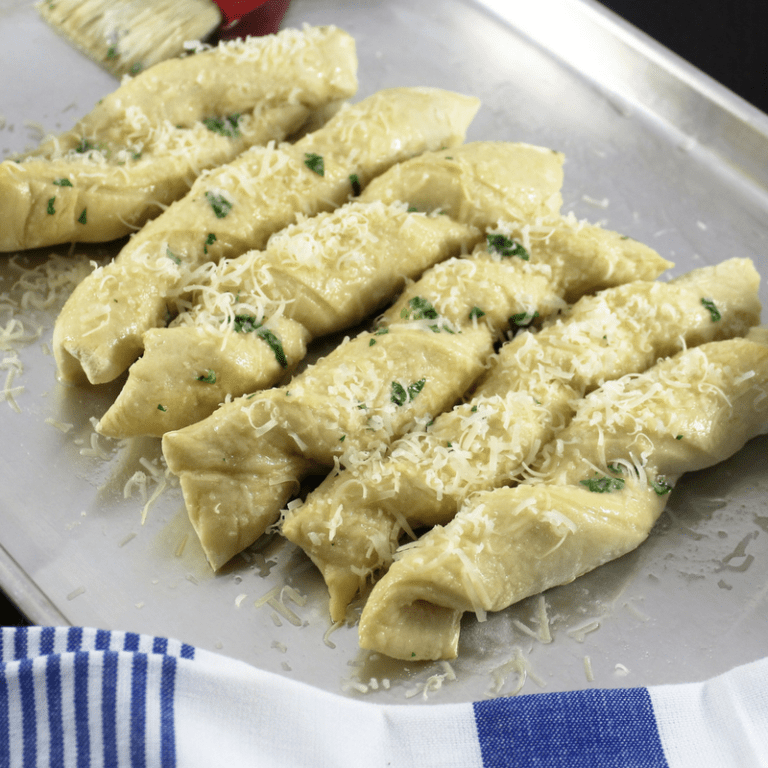 Garlic Parmesan Breadstick Recipe - THE OLIVE BLOGGER - Recipes your family will love! I am always looking for delicious recipes to add to my dinner game, and this Breadstick Recipe from Amber at Simply Made Recipes was instant love for my tummy! This recipe is so easy to make and is loaded with garlic and parmesan, two of my favorite things! You can make them to go with any type of meal and they are perfect for the cool days ahead to dip in a nice big bowl of stew or soup! Find the cooking instructions over at Simply Made Recipes here! This recipe contains affiliate links, which cost you nothing, please see my disclosure policy for more information! These look amazing! I need them in my life ASAP! Me too Erin, I love Amber’s creativity with her recipes! Looks tasty! I can’t wait to try them out! Thanks for the recipe! I’m going to have to make this with our dinner tonight!! Mmm let me know how they turned out! Enjoy! I think so too 🙂 Nom nom nom! These will be gone in one sitting at my house! YUM. Garlic and bread? What time should I be over? :p we should do a dinner party with all our treats and goodies!! These look and sound absolutely delicious! Such a sucker for a good breadstick! Thanks Emily, I hope you give them a try! Woohoo! I hope you love them Jenni, they are a great addition to any meal! Me too Janella, bread is my weakness…ha! !